Living in the Sierras comes with the responsibility of creating and maintaining Defensible Space for wildfire protection. Please see below for green waste programs provided in your area. Eldorado County residents are encouraged to join in the community’s preparation for Fire Safety through Defensible Space measures. Residents of Eldorado County may self-haul green wastes to ERL utilizing special Green Waste Coupons provided within the Green Waste Coupon Program. Each coupon allows residents to drop off up to 3 yards of yard-waste material. If material is transported in bags, the bags must be emptied on site by the hauler. To facilitate unloading, position a tarp on the bottom of the truck bed or trailer before loading the material. Don’t forget to cover the load for safe hauling. In order to take advantage of the free drop-off, residents are required to bring proof of residency. ERL is located on Cabin Creek Road off HWY 89 three miles south of the Mouse Hole Tunnel. Coupon drop-off is available May 1 – October 31, Monday – Saturday, 8am – 4pm. Placer County residents are encouraged to join in the community’s preparation for Fire Safety through Defensible Space measures. Greenwaste Dumpster. During the months of May, June and July Placer County residents may purchase up to two 6-yard, Yard-Waste only dumpsters at the approved greenwaste disposal rates. Use of Yard-Waste Dumpsters is restricted to natural loose yard waste material and must not contain any bagged items. Dumpsters also accommodate larger woody material such as limbs and branches in addition to pine needles, pine cones, brush and garden waste. Drop-It-Off. Residents are allowed to drop off up to 6 yards of yard-waste material to the Eastern Regional Landfill (ERL). If material is transported in bags, the bags must be emptied on site by the hauler. To facilitate unloading, position a tarp on the bottom of the truck bed or trailer before loading the material. Don’t forget to cover the load for safe hauling. In order to take advantage of the free drop-off, residents are required to bring proof of residency. ERL is located on Cabin Creek Road off HWY 89 three miles south of the Mouse Hole Tunnel. Free drop-off is available May 1 – October 31, Monday – Saturday, 8am – 4pm. Special Events. Placer County periodically sponsors Defensible Space events, wherein residents are invited to self haul green waste items to central collection points. Event dates and details are locally advertised prior to occurrence. Coupons. Placer residents may also opt to self-haul green wastes to ERL utilizing the coupon provided within the coupon rewards program. Three convenient options are available to residents seeking to create and maintain Defensible Space for wildfire protection. The Drop-it-Off and/or Discounted Dumpster options should be used for initial, primary clean-up. After the property is raked, the branches trimmed, and the brush cleared, use the Green Cart program to maintain defensible space into autumn. Discounted Dumpster. 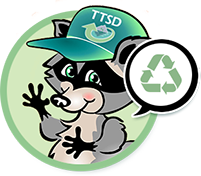 During the months of May through September Truckee residents may purchase up to two 6-yard, Yard-Waste only dumpsters at discounted rates. Use of Yard-Waste Dumpsters is restricted to natural loose yard waste material and must not contain any bagged items. Dumpsters also accommodate larger woody material such as limbs and branches in addition to pine needles, pine cones, brush and garden waste. Curbside Green Carts for Maintenance. Residents participating in the curbside program must utilize Special Green Carts. Please visit keeptruckeegreen.org to learn more about the Green Cart program. Various areas offer programs to encourage residents to join in the community’s preparation for Fire Safety through Defensible Space measures. Please contact our office to find programs and event dates in your area.